📅 February 2015 August 30, 2018 by Bruno B. In a continent full of so many charming and indulging cities like Europe, BRUSSELS never seemed to stand out as a dream travel destination. 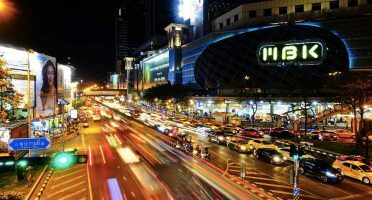 So what to expect from this city? Brussels is not only the capital of Belgium. It is also considered to be the unofficial capital and administrative hub of Europe, hosting many of the most important institutions including the Parliament Building and the European Commission. OMG I’m being boring already! No wonder Brussels is often considered one of the most uninteresting places to visit. At least I have always heard Brussels as figuring in the pot of dullest European cities, together with Milan, Zürich and Bratislava. For all this, I was not expecting much upon arriving Brussels. In fact, after visiting Bruges and Ghent, my expectations were historically low and somehow managed not to left the city disappointed. Here’s what you can expect from Brussels! 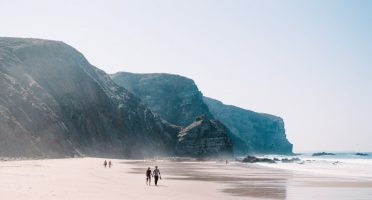 Being home to so many important European institutions creates a high standard of quality of life in some districts mainly populated by expatriates and EU workers. In the so called European District, the businessman with suitcases wandering around creates a overall serious atmosphere which not even the neighbor Parc du Cinquantenaire (or Jubelpark in Dutch, this double naming really stressed me out!) can smooth. On the other hand, it is very curious to point out that 3 out of 4 people in Brussels are from foreign origin, especially from Morocco, Turkey and Romania. Plus, many Belgians have fled from the centre of Brussels to live in the suburbs and other nearby cities such as Ghent. The result is that working-class neighborhoods are mostly frequented by families of immigrant background. Wandering around some streets, I found it hard to believe I was in the so-called capital of Europe. 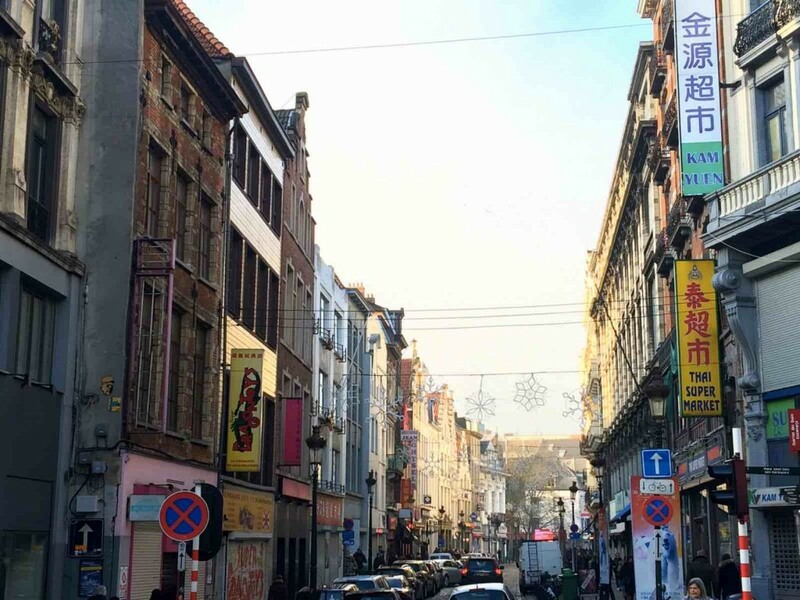 Some streets in Brussels resembled Chinatown. The list of interesting landmarks in Brussels it’s not huge, but the existent ones make a hell of a good impression. And among them, Grand Place (or Grote Markt in Dutch) certainly stands out. The first time I stepped into the square was at nighttime, while a light projection show was taking place (see the video in the bottom of the post). A true jaw-dropping moment! Detail of the Grand Place at night. 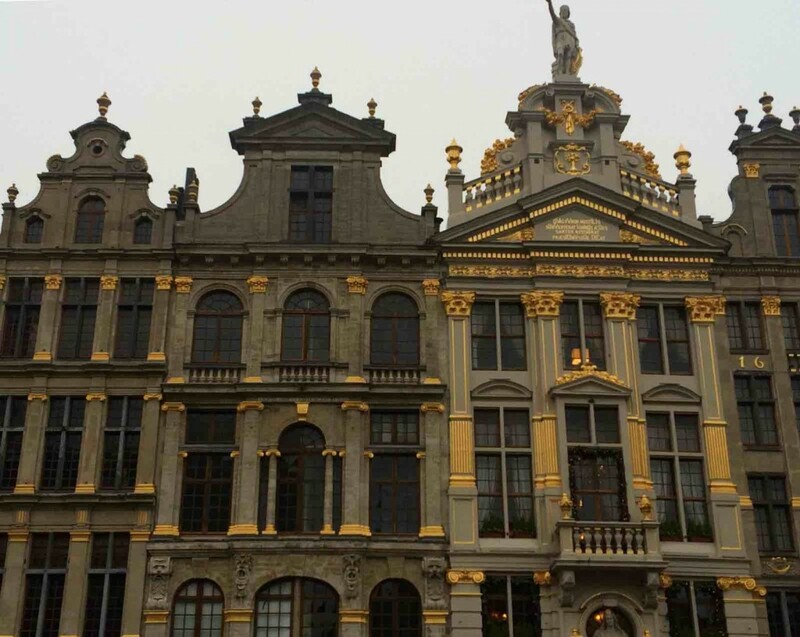 The buildings on Grand Place are simply stunning. No doubt it’s one of the most beautiful squares I’ve been and certainly THE highlight of Brussels. I was lucky enough to see it during the holiday season, with a real HUGE Christmas tree (a gift from Latvia) and incredible lighting. But from what I’ve seen in some postcards, the carpets of flowers which they decorate the square within the summer is as extraordinary. 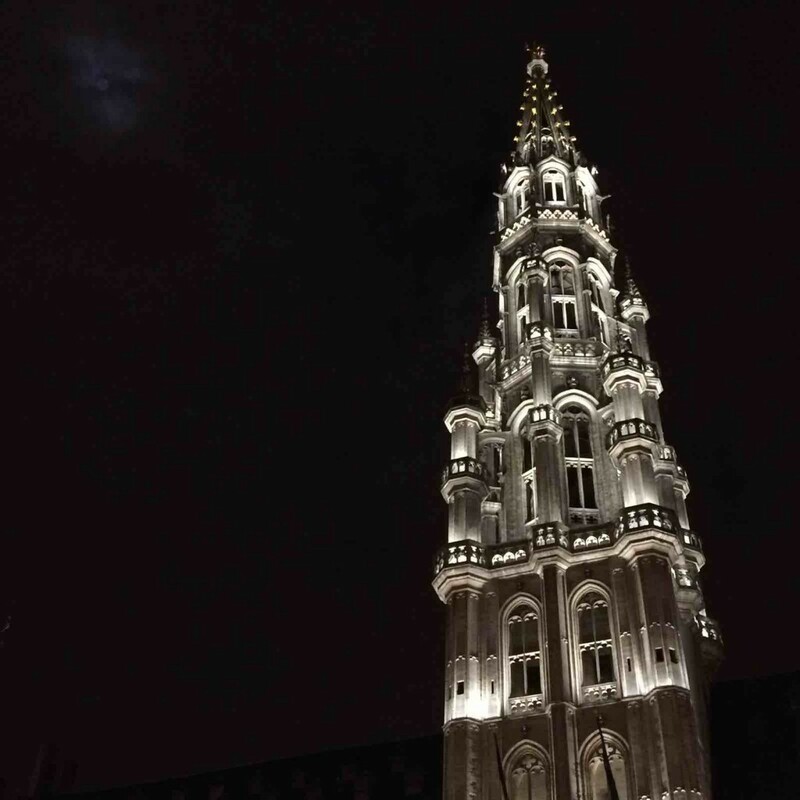 Grand Place perspective at night. Close to the Grand Place are the Galeries Royales St. Hubert, a vibrant shopping stroll built in the 19th-century which influenced similar architecture projects in London and Milan. While the shops here as severely overpriced, the promenade itself is still worth to take a look. The very tall ceilings and the elegant indoor shops create a deluxe atmosphere. It’s like going to an upscale mall, where no one dares to wear sweatpants and snickers. Dominating the sky of Brussels a bit farther away from the center you can find Atomium. 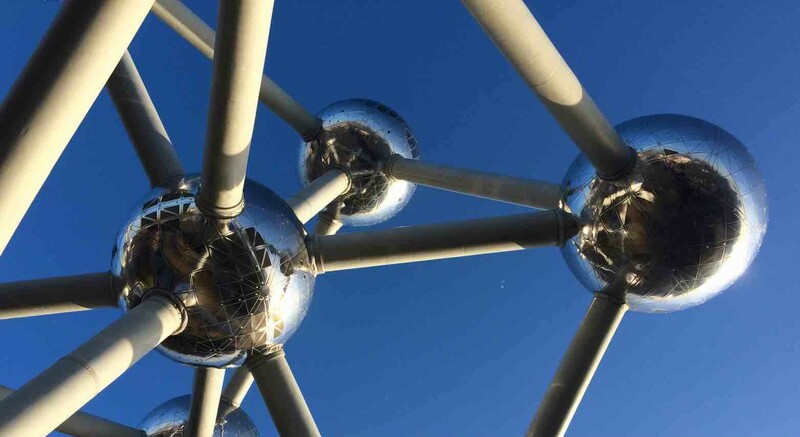 Built for the Brussels World Fair of 1958, this exquisite structure is made of 9 stainless steel spheres resembling the shape of an iron crystal. Many people miss it because it’s a 20-25 minutes subway ride from the center, but I was glad we had time to go. It was a lovely sunny day with a clear sky and the sun reflecting in the Atomium structure created a very neat light effect. Of course that meant lots of Instagram opportunities. OK so where should I begin? 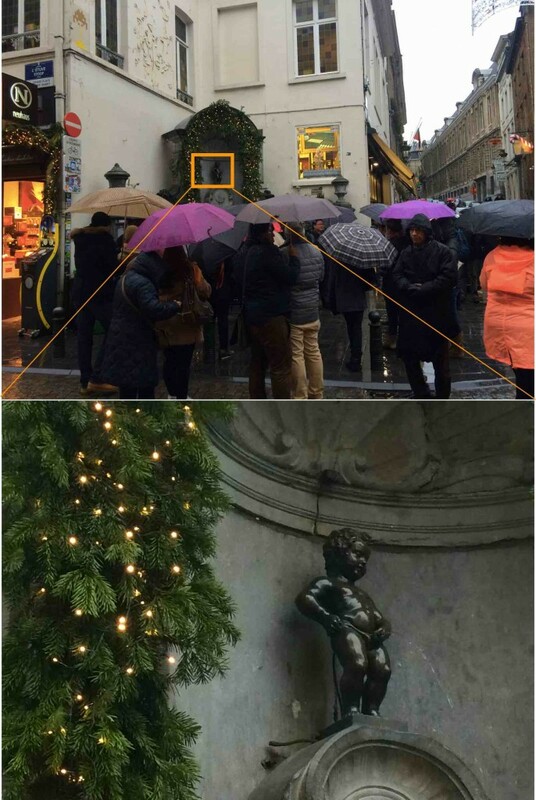 Oh I know: How about the most beloved statue in Brussels is a little boy peeing? As if it weren’t odd enough, when arriving Manneken Pis I had the exact same feeling as in Copenhagen when I first saw the Little Mermaid in front of me: Is this it?!. The statue is shockingly small, standing in the corner of a rather random street with absolutely nothing in particular standing out. Yet, Manneken Pis is so important that he is regularly given one of 900+ different costumes to celebrate different events and special celebrations. To say this landmark of Brussels is odd is an understatement. Just a few steps away from this peeing celebration lies another quirky detail of Brussels. The Tintin comic strip mural celebrates the work of Hergè, the author of the famous books of the adventurer journalist. Actually, Brussels has long been at the forefront of the international comics world – the Smurfs are also from here! – having in total 50 buildings embellished with this type of street art. For a detailed map of all comic book walls in Brussels and Laeken click here. I’ve got to keep writing about Belgian food. I’ve written before how one of the best thing about food in this country is that the major Belgian icons are available in the form of cheap and delicious street food. That’s particularly true in Brussels, where everything Belgian is generally inexpensive, contrarily to my initial expectations. Still, as I didn’t want my cholesterol go off the charts, I had to look also for some restaurants. So I took out my phone and opened Yelp. – this app has yelped so many times before in finding great places and it didn’t disappoint me in Brussels. It led me to a seafood restaurant called Bia Mara with little or nothing of Belgian. But who cares when the damn food is delicious? I had a Lemon & Fennel Panko Hake with Seaweed Salted Chips and Lemon & Basil Sauce and flipped with it! For 10€, I got a smart reinvention of fish & chips which I have been craving ever since. Definitely my best full meal in Belgium. 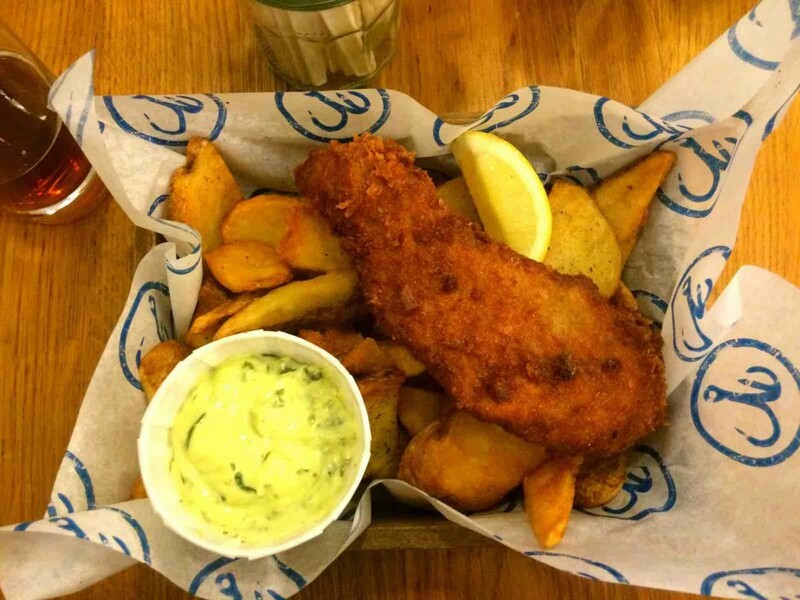 Fish & Chips at Bia Mara. Other inexpensive places to eat in Brussels are EXKi, an international chain of organic grab-and-go restaurants, and HEMA. We find this store randomly when a pair of ridiculous doggy slippers grabbed my attention (I can be that childish). It’s basically an IKEA but selling all kinds of stuff, since umbrellas to lingerie. But the interesting part is that also has a huge cafeteria serving a very reasonable and eye-catching breakfast for 1€ (!). And a complete lunch – soup, main and dessert – will cost you less than 10€. Pretty good for Belgian standards. Weeks have passed and I’m still not sure if I liked Brussels or not. 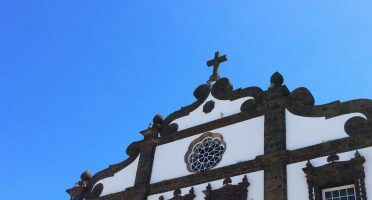 For sure it does not have the appeal or charm of other european cities nor a high number of interesting landmarks, but it did have some wow moments. Overall the city is eccentric and can be even considered unique. I am just not sure if in a good way. The contrast between the suit & tie world of EU politics and a city center overrun by an overwhelming mix of the immigrant population is just odd. In my opinion, this causes Brussels to struggle in finding its essence, somehow coming across as an artificial city. 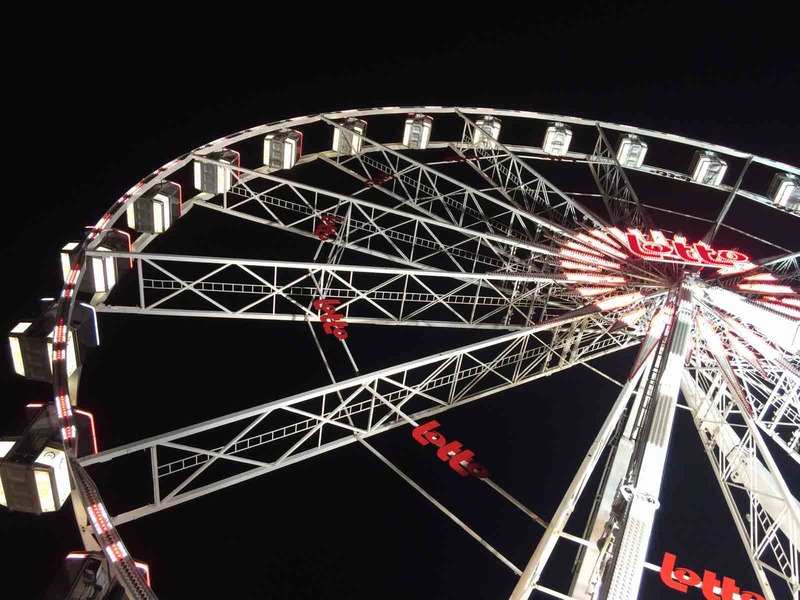 Christmas ferris wheel at Place de Saint-Catherine. 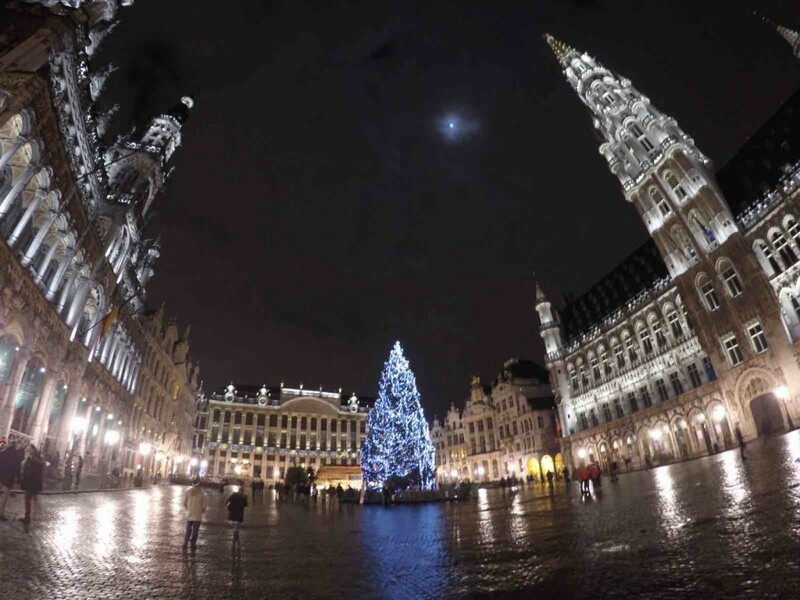 My final comment is that if it weren’t for the Christmas spirit (we went EVERY night to the christmas market on Place Sainte-Catherine) and the mouth-watering food, Brussels could potentially bore me. There is definitely some snooze fest potential in this place. Even though I didn’t had a bad time – actually had good fun – I feel this visit was enough to see what is this place is all about. 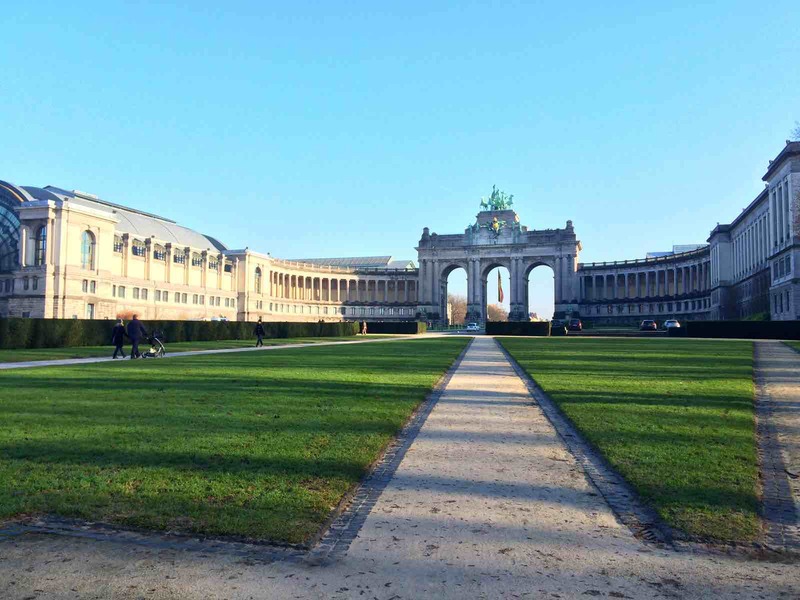 ARE YOU CURIOUS ABOUT BRUSSELS? OR IF HAVE YOU BEEN, WHAT IS YOUR OPINION OF THE CITY? Photo credits: All photos belong to my own, under a CC4.0 license.